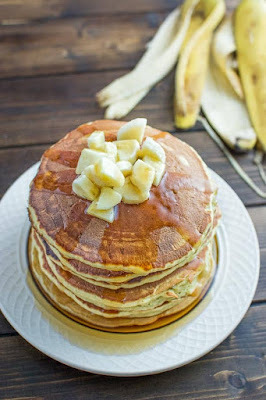 These kid friendly Healthy Banana Pancakes are easy to make and so fluffy and tasty. And there’s no added sugar! 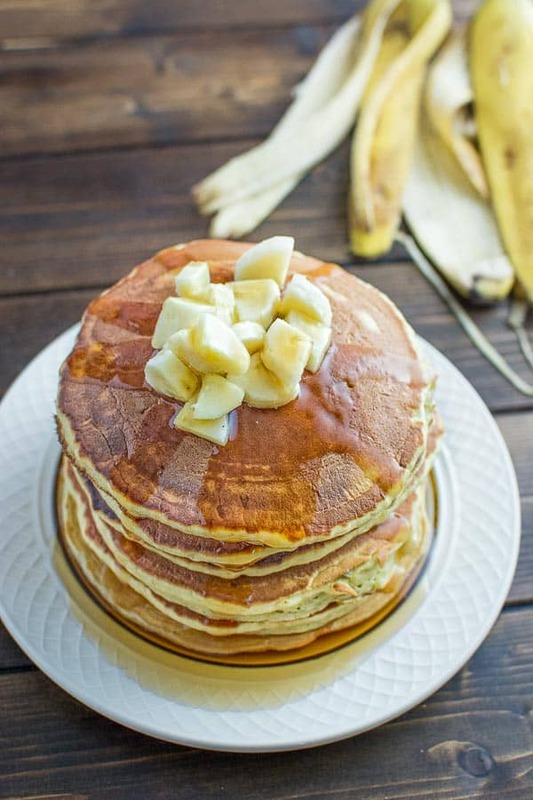 At 140 calories per pancake, these are a must try for any pancake lover. Puree the bananas with potato masher or fork. Add almond milk, eggs and whisk until smooth. Add flour, baking powder and baking soda. Mix the batter gently and try not to over mix. A few lumps are fine. If the mixture looks too thin, add a little extra flour. Heat up a non-stick skillet on medium heat. Using 1/4 cup as a measure, scoop the batter onto the skillet. In about 1 minute you should see some bubbles appear. Flip the pancake over and fry for another minute. Repeat this step with the remaining batter. You should have 6 pancakes. 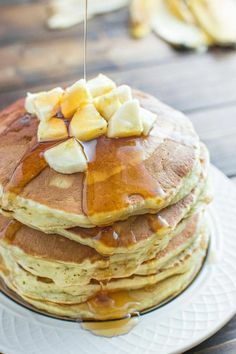 Garnish with fresh bananas and drizzle with maple syrup. Enjoy! 0 Response to "HEALTHY BANANA PANCAKES"